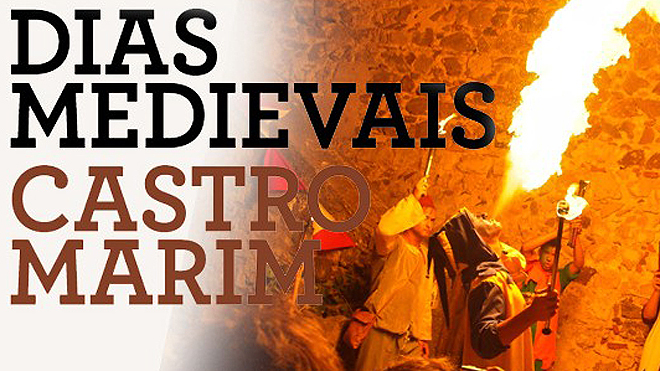 In August, Castro Marim returns to the Middle Ages, in a highly rigorous historical recreation. During four days and nights, the castle of Castro Marim once again plays host to kings and queens, knights in shining armour, jesters, buffoons, noblemen and ladies, as the entire Court make a procession before the admiring gazes of many visitors that travel to the event every year. Jousting tournaments, on foot and on horseback, street theatre performances, banquets accompanied by medieval music and a handicrafts and merchandise fair, complement the entertainment activities of these Medieval Days, enabling us to relive the magic and mystery of times gone by.